Are you Mary, Martha, Judas, Lazarus? None of them? All of them? Don’t be fooled – there is good and bad in all of them. None of them are all good, or all bad – though some of them might seem like it. Lazarus – We know little about Lazarus – we know that he was a brother to Mary and Martha, and that he died and Jesus brought him back from the dead. We know nothing about what he did – and yet… and yet … he was one of the strongest witnesses to Jesus – to the extent that the Chief Priests wanted to put him to death. It wasn’t what he did that was his witness – it was what Jesus had done for him, it was who he was. Rather than ask yourself what you have done for Jesus, ask rather what has Jesus done for you? Who do people think you are? Judas – What good is there in Judas? Judas took on responsibility – he served acting as treasurer for the disciples; he was passionate, there was a strong desire to do what he thought right – what he thought would lead to the right outcome; and he was penitent he recognised he had done wrong and felt remorse for it. And yet he betrays Jesus for a false idea of Messiahship. And in a bizarre way he is proved right – although not in the way that he thought. 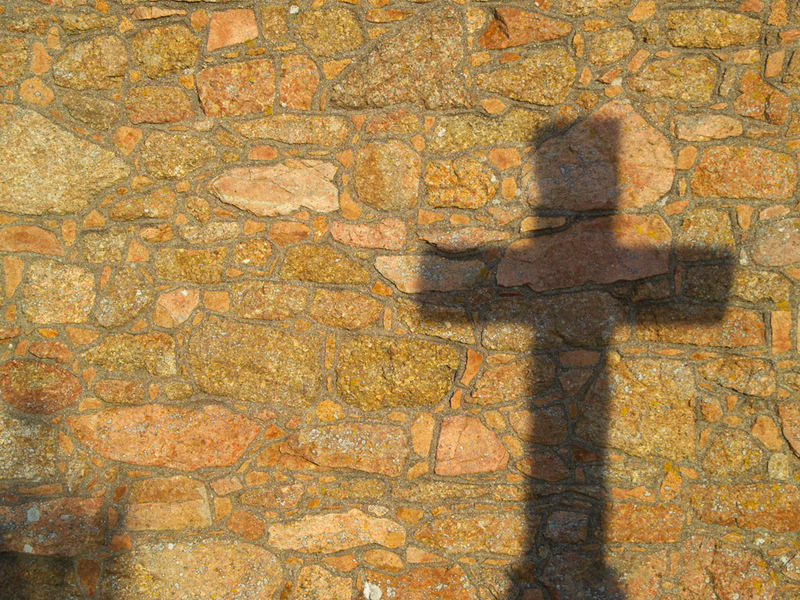 Jesus had to die to fulfil his destiny – without a betrayal how was that to happen? Without a Judas there would be no Christianity! Was Judas betrayal the ultimate act of service he could render to Jesus? But… Judas substitutes his thoughts, his ideas, his desires for those of Jesus. He “knows” what God wants to happen – and goes all out to make sure that it does. Do you serve as passionately as Judas? Are you as penitent when you have done something wrong, or do you find it difficult to accept that you have been wrong? Can you get carried away with your ideas, your views on what is right? Can you find it difficult to let God make the decisions? Mary – Mary is a generous and attentive person. We have heard today of her pouring out the nard – and in another passage we hear of her sitting at Jesus feet learning from him – and Jesus takes her side when others question her behaviour. However, there may have been a reluctance to act in Mary – when Lazarus died she stayed at home, and Martha’s complaints about her were about her lack of activity. Are you as generous towards Jesus as Mary was? Are you as passionate about learning from Jesus as Mary was? Do you sit back – or do you act? Martha – Martha is perhaps best known as a grumbler – the one who asked why Mary wasn’t helping her. Yet Martha is practical – in both that story and this it is Martha who is serving, and when Lazarus dies it is Martha who goes to meet Jesus and has the faith to ask him bring him back from the dead. Can you be a grumbler? Complaining when others are using their gifts to do something else? Are you practical, always willing to serve? Do you have Martha’s faith – trusting in Jesus? Do you need to explore areas of your weakness to deepen your discipleship? How best can you use your gifts in God’s service? we confess we have failed you as did your first disciples. rather than watch with you: Lord, forgive us. Christ have mercy. Lord, forgive us. Christ have mercy. When we strike at those who hurt us rather than stretch out our hands to bless: Lord, forgive us. Christ have mercy. Loving God, thank you for the gifts you have given each one of us. Help us to discern what they are, discovering those that are new to us, as well as those we know well. You know that all gifts can be used for good or ill, so help us too to use them in the way that you would wish, using them in your service to help build your kingdom here on earth. Easter, the most important day in the church year, the highest day of celebration. All over the world will be heard ‘Jesus is risen, Alleluia, he is risen indeed alleluia’. We can’t get enough alleluias on Easter day.. praise the Lord we say over and over and we feel a great infectious overwhelming joy. Easter, the most important day in the church year, the highest day of celebration. All over the world will be heard ‘Jesus is risen, Alleluia, he is risen indeed alleluia’. We can’t get enough alleluias on Easter day… praise the Lord we say over and over and we feel a great infectious overwhelming joy. My old vicar used to complain that people come to church on Palm Sunday and on Easter day, both days of celebration, and the events of Maundy Thursday and Good Friday get missed, and with it the point of Easter. Even in the passage today, we find the joy that I speak of but also the most extreme terror. We read of an earthquake and an angel who’s appearance was like lightening, who rolled back the stone and the guards were literally petrified – their terror was such that they became like dead men. They had a job to do – and they had completely lost control, their small world had been blown apart – they probably had plans and expectations about that day, they had weapons, they had authority, they were the might of the Roman Empire, and they were powerless, losing control even of their bodies. And the women? It is hard to keep up with all the Mary’s in the New Testament – but we have here Mary Magdalene and Mary the mother of James, (neither of which are Mary the sister of Lazarus nor Mary the mother of Jesus). They had a sad job to do that morning – to anoint the body of their dear friend. That job was clearly impossible given the lack of body… so their emotions were mixed… fear given the terrifying experience they had just witnessed and great joy, that perhaps the one they loved so much had indeed risen and was not dead, joy that they might once again see him. On Holy Monday we had an Easter Labyrinth up at St Mark’s. We walked a course, one after the other, stopping at ten different stations and considering the journey that Jesus took through Holy Week. I was asked to pick up a large stone and recognize heavy burdens that I was carrying, like the heaviness of the cross. I put the stone down at the foot of the cross and asked Jesus to carry it for me. With that acion was a great release. At the next station I was asked to pick up nails and remember that Jesus cried out “Father Forgive them, even in his great agony”. It is hard to forgive when we are still hurting, but we were invited to place down the nail as a sign of forgiveness. I was reminded that forgiveness is not an event, an action, but a state of mind and a state of the heart. It is all about loving others, my heart felt lighter. On Maundy Thursday we had a service at St John’s where all the lights were on and Alan wore a bright white and gold chasuble and we remembered the New Commandment to love one another as Christ Loves us. As a symbol of that, and remembering Christ’s actions, Alan and I washed the feet of our fellow disciples. We then shared the meal of fellowship – communion – which was instigated on that very night at the Last Supper. But then the betrayal. The lights were all turned off, the church was stripped of all colour, the wood was laid bare on the altar, we took the left-over communion to the Lady Chapel and sat in silence and in darkness. One person after another slipped home – representing the scattering of the disciples, the disunity, the denial, the cowardice, the weakness that is within us all. On Good Friday we met here at St George’s and spent an hour at the cross, considering some of the stations of the cross, hearing readings and seeing images. Each station led me into a greater understanding of the injustice, the pain, the horror of our Lord’s Passion, and the response of those around him on his journey. Christ’s own response was love, dignity, forgiveness and acceptance. Christ was carrying the cross for me in some mysterious way. Carrying it for all of us. And doing it willingly. Dearest Jesus, teach me to be generous. Except that of knowing that I do your Holy Will. Finally, at the confirmation service last night we heard a reading from Paul – unless we die with Christ we cannot be raised with Christ. Unless we travel with Jesus into his death, into his pain and recognize within it our own pain and weaknesses and sinfulness then we will not be able to enter into Christ’s resurrection. Holy week is a wonderful way of doing that and each year it takes us deeper into the heart of God, if we let it. So the joy we know isn’t just that one man once cheated death. No the joy is that for all of us we can overcome sin and pain and fear and all that is dark and instead know hope and love and joy in our lives today. We are Easter people and Halleluiah is our song. Losing my mum two and a half years ago has changed my understanding of so many things. The most obvious change is that I now understand grief in a different way. Grief is an emotion that I meet on a nearly weekly basis thanks to funeral ministry, and obviously everyone’s grief is different so it is wrong to generalise. However, my change in understanding is that grief isn’t a phase, a period of time, an emotion to work through…. Grief is an emotional reaction to the reality of loss, and the loss is forever. Grief may be a process, but it is the process of accepting the loss, and the impacts of the loss are with us for the rest of our lives. That loss can be bad, or good, or perhaps most likely, the impact of loss can be both good and bad. The weirdest thing that happened to me after mum died was that I instantaneously understood her differently and I understood myself and the whole of my life up to that point in a new way. It was the separation from the one who had been everything to me at one time in my life. I suddenly realised that spending my earliest years in countries where no one spoke my language, other than my mum, had created an incredibly intense relationship between us, one that had been complicated by both of us suffering from anxiety. Within days of her death I wished that she had been alive so that I could behave differently, speak to her properly, readjust our relationship given my new knowledge of both her and me. It was ironic that it was her death that might have meant that we could have had a better relationship. At times it felt like a bitter irony. I felt a great loss, like the loss of a limb, but it was a loss inside me, a hole that had appeared and which felt like it couldn’t be filled. And it hasn’t, so far. The hole is still there – still the same shape and size – it feels like a mother-shaped hole. But I don’t regret her death any more. I feel better for the understanding it has given me. I feel both liberated and empowered. As I contemplate the question of “Why did Jesus die” once again in this Holy Week, I find myself wondering whether some of this experience was the same for the disciples. They were shocked to discover themselves in a new way after Jesus’ death – for many of them cowardice ruled the day without their leader. Perhaps the loss made them realise where Jesus ended and where they began, what Jesus meant to them and how he had affected them. When Jesus rose from the dead he met different men and women than the ones that he had left – ones that could never be the same because in their loss they met themselves and knew themselves more deeply. And Jesus wasn’t restored to them in the same way – his resurrection body was different to his former one – it had the marks of the nails but he was hard to recognise. In Christ’s death and resurrection one of the things that changed was that the baton passed – making disciples was no longer primarily Jesus’s job, it was now the job of the disciples, our job. Or was it? Because we can’t do it – only God can – but God gives us the Holy Spirit so that we might be the hands and hearts through which God’s grace and love flows. I hate that Jesus died, I find Holy Week terrible. Every year. But I don’t regret that Jesus died, for in doing so Jesus blessed the world with God’s immense love and grace through flawed people, even people like me.